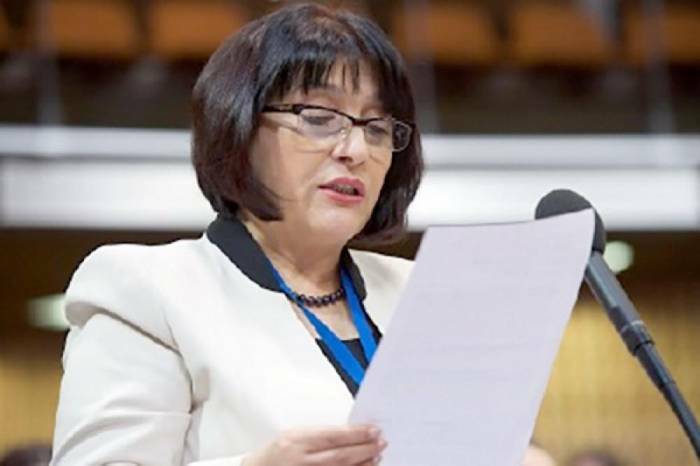 The Nagorno-Karabakh conflict has brought a heavy burden to women, Azerbaijani Sahiba Gafarova said at the spring session of the Parliamentary Assembly of the Council of Europe (PACE) in France, AzVision.az reports. "As a result of the occupation by Armenia of 20 percent of the territory of Azerbaijan, we have 1 million refugees and IDPs, many of whom were women and children. The war and forcible displacement brought burden on women. Along with the direct casualties, women have been suffering from indirect consequences, including economic and social damage, violence and displacement. Women refugees and IDPs have to overcome physical and psychological trauma from different forms of violence and conflict, and another challenge is related with the issue of missing persons and hostages," the Azerbaijani MP said. She noted that in Azerbaijan, in this context, special attention is paid to such issues as enhanced access to economic and social services, education opportunities and skill development trainings. "It should be mentioned that awareness raising campaigns on gender equality can be very instrumental to promoting refugee and IDP womens’ participation in political, economic and social spheres. For example, in my country, we have undertaken complex measures to provide equal participation of refugee and IDP women in public life. In the framework of projects, such as strengthening womens’ political participation, women in local governance and others, capacities of women refugees and IDPs have be strengthened and the number of their representation in local governance has considerably increased," the MP said. "Ladies and gentlemen, in conclusion, let me underline the 2030 agenda is a global framework. Governments, international organizations, private sector, civil society have to together to translate into reality the Agenda 2030. To achieve this goal, we have to find durable solutions to conflict situations. I strongly believe the most sustainable solution is resolution of conflict and ensuring the right of those expelled from the conflict-affected territories to return to their homes in dignity and safety," she added.